“Dare one ask how long the Viet Minh or the Viet Cong would have lasted, first against the French, and then the U.S.A., the greatest military power in the history of the world, across twenty years of battle, if they had had to contend simultaneously with a F.A.I. plus a combination of quasi-Trotskyists such as the P.O.U.M. The answer to that should be obvious. 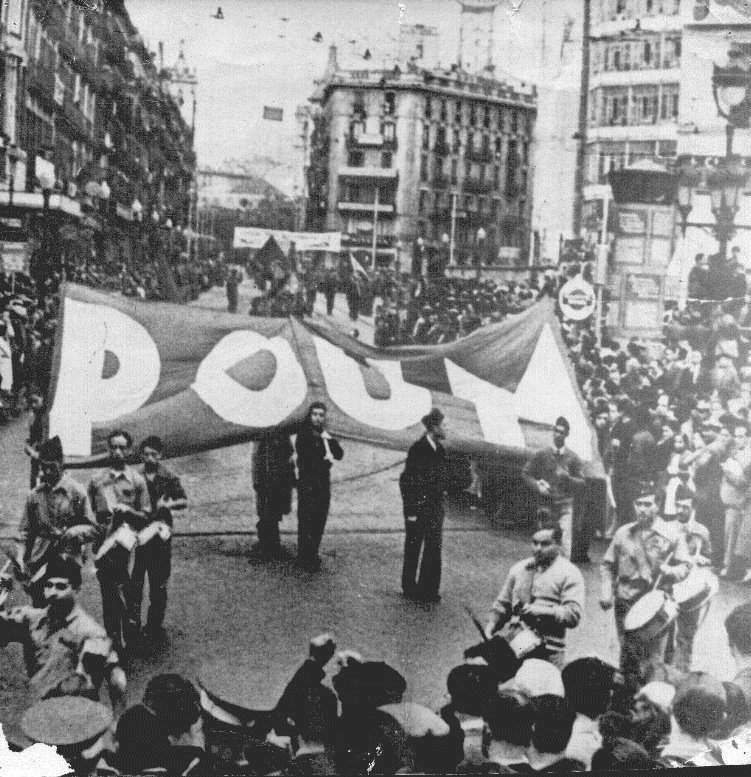 The P.O.U.M., the Party of Nin, Andrade, Gorkín and Maurín was, like the P.S.U.C., an amalgam of a number of small Left parties. Its political base was supposedly Marxist; a significant part of its leadership, however, leaned toward Trotskyism. To them the war seems to have been but an unreal shadow ‘happening.’ Something which they preferred not to discuss seriously or in its proper context, such as what its loss would mean to all the Spanish people. Indeed, the simplistics of their position suggests that they were incapable of lifting their polemics above the level of dogma—lest this negate pat conclusions which only had meaning if the war itself had no meaning. This entry was posted in Armed Struggle, Capitalism & Bourgeois Liberalism, Capitalist Restoration and Counterrevolution, Class Struggle, Communist Party of Spain (PCE), Europe, Fascism, Fascist Massacres, History, How Will Communism Work, Internationalism, Lies & Propaganda, Marxism-Leninism, Myth-Busting, National Liberation, Polemics & Refutations, Reactionary Watch, Revisionism, Revolutionary Quotations, Social-Democracy, Social-Fascism, Socialist Revolution, Spain, Theory, Trotskyism. Bookmark the permalink.